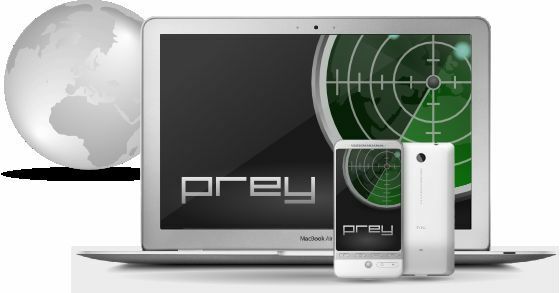 Prey for Mac OS is a small application that aids you in tracking a stolen laptop, or Android phone. You install it on your laptop, and if it should get stolen, you can activate it remotely. 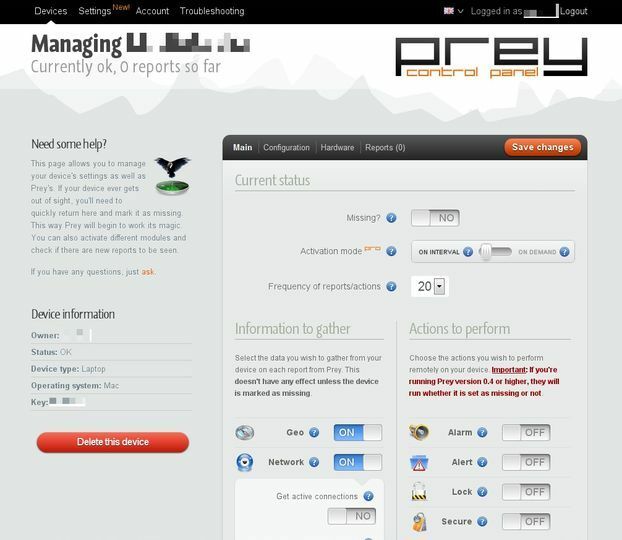 The laptop will then start to report back information to you, such as location data, network data, webcam images and so forth. You could even sound an alarm on the laptop or pop-up an on screen message. You can fully lock-down a laptop to prevent a thief from doing any damage to your files and other information. You can get screenshots as they are using the laptop, and may get lucky if they login to Facebook or Twitter. All of this you can do without the thief being any the wiser. Gather the intelligence and then take it to the police station and you have a very strong chance of getting your property back. Prey is free to to use and can track up to three devices. If you need to track more than that you will need to upgrade to a pro plan.